The new season colors are in! Mix up these different Diamond-Patterned bow ties with a colorful pair of suspenders to create your own new fashion trends for your child. The look is fresh and vibrant. 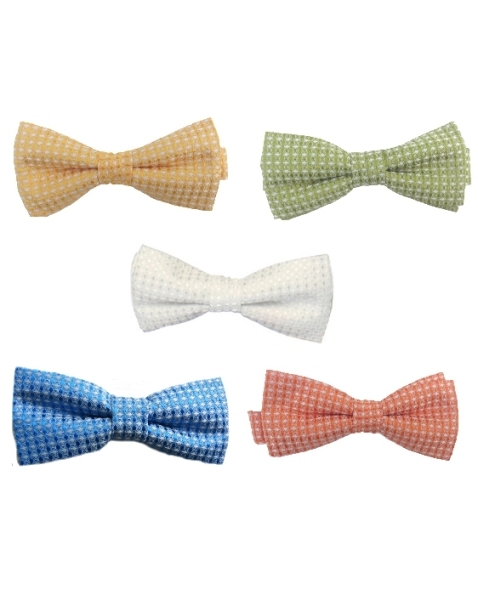 The bow ties measure 1.5" by 4" and will fit ages 2 - 8 years. Wrap around style with adjustable band. Click on the pictures below to see larger pictures for each of the color choices of our microfiber diamond-patterned bow ties! Ships in just 1 day.